The following is an abridged text of a lecture delivered by Rt. Wor. Bro. Rabbi Dr Raymond Apple, AO RFD, Past Deputy Grand Master of the United Grand Lodge of New South Wales & the Australian Capital Territory, at the Victorian Lodge of Research on 23 March 1995. My masonic career began in the Lodge of Israel, the oldest “Jewish” lodge on the register of the Grand Lodge of England. Founded in 1793, its roll of members has always been star-studded with public figures; its meetings are unusually impressive events. Its 200-odd years of history are an important chapter in both Jewish and masonic annals. Though it has many distinguished non-Jewish members, as a “Jewish” lodge it avoids meetings on the Jewish Sabbath and festivals and respects the Jewish dietary laws. Those members who so desire keep their heads covered during lodge meetings (indeed all masons, regardless of their religion, used to keep their hats on in Lodge). But Jewish masons in England are not found only in “Jewish” lodges; they are spread across the whole range of the craft, and the Jewish component in English as in Australian freemasonry is rather higher than the percentage of Jews in the population would suggest. A large proportion of Jewish masons have progressed through the elective offices of their lodges and a number have reached Grand Lodge rank. Significantly, leading rabbis have held high masonic office, including Sir Israel Brodie, Chief Rabbi of Britain and the Commonwealth from 1948 to 1965. His silver-tongued orations at masonic gatherings still remain in the memory of his audiences; I have met elderly masons who recall masonic addresses he gave sixty-odd years ago during his ministry in Melbourne from 1923 to 1937. All this indicates that the craft has a widespread appeal to Jews, and that they have not felt masonry was incompatible with their Jewish loyalties and commitments. I personally have had a long-standing interest in the common ground between my masonry and my Judaism. Over the years I have found this a most fruitful subject of study and research with implications not only for masonic and Jewish philosophy and history but indeed for modern history as a whole. Its ramifications cover the entire gamut of the political, economic, social, intellectual, cultural and religious currents of almost three centuries. As far as we know, there were no Jewish masons in the operative stage of the craft. The medieval craft guilds had a religious dimension and Christian spirit, and thus required a Christian commitment which was impossible for a professing Jew. As a consequence, it was only when the movement developed its modern, speculative form that membership became open to Jews. The turning point came at the beginning of the eighteenth century. By 1717, most lodges consisted of non-operative members, and between that date and the end of the eighteenth century, a period of eighty years or so, several hundred English Jews had joined the craft. We do not know exactly when the first Jews entered masonry, but in 1725 Israel Segalas belonged to Solomon’s Temple Lodge, Hemming’s Row, and Nicholas Abraham to the Golden Lyon Lodge, Dean Street. In 1730-2, eight Jews belonged to Lodge No. 84 at Daniel’s Coffee House in Lombard Street. Most of the early Jewish masons were Sephardim (i.e. of Spanish-Portuguese ancestry) – the Anglo-Jewish gentry. Press reports often made a point of identifying a mason as a Jew. Hence we know that on Sunday, 17 September, 1732, a lodge meeting at the Rose Tavern in Cheapside was presided over as master by “Mr. Daniel Delvalle, an eminent Jew snuff merchant” (was he the first Jew to be master of a lodge?) in the presence of “several Brethren of Distinction, as well Jews as Christians”. Jews could enter freemasonry because of the advent of a doctrine of tolerance. Under the first version of the constitution formulated by Rev. James Anderson, masons were required “in every country to be of the religion of that country or nation”. This would have excluded Jews. However, in the 1723 rewording of the constitution it “was thought more expedient only to oblige them to that religion in which all men agree, leaving their particular opinions to themselves”. Thus when Jews sought membership, this doctrine of tolerance eased their path. But tolerance was not universal or even consistent in eighteenth century English freemasonry. The writer of a letter in “The Craftsman” in 1737 declares, “It… deserves notice how artfully they have dispersed themselves in different Lodges through all parts of the Kingdom, and particularly in this great metropolis… in which they not only admit Turks, Jews, Infidels, but even Jacobites, non-Jurors,” etc. All this indicates that the craft was undergoing a period of transition, becoming gradually, but not without resistance, dechristianised. It must be remembered that speculative freemasonry developed at a time when rationalist and enlightenment thinking argued that all men share a “natural” religion which derived from human reason, and believed in general moral principles, not specific to any religious denomination. Amos Funkenstein, in his “Perceptions of Jewish History”, 1993, speaks of “the complex dialectical relation of the Enlightenment to the Christian past… Its ideals were secularised, inverted Christian ideals… The Freemasons became a counter-Church with countersymbols, countersacraments, counterpriests, and counterconfession.” This is an exaggeration, but it does suggest the philosophical ferment of the time. Some lodges maintained Christian elements in the ritual (though not limiting them to any one denomination), but modified them to allow Jewish membership. Such lodges sometimes justified the tolerance they accorded to Jews on the basis that Judaism was the faith from which Christianity sprang. However, they had no patience with Buddhism, Islam, etc., which they dismissed as barbaric. The dechristianisation of the craft came when the Duke of Sussex was Grand Master from 1813. His period of office saw the abandonment of strict adherence to Christian forms. Though a devout Christian, he was a man of tolerance; a Hebrew scholar, friendly with leading Jews; and he believe that religion was a matter of private conscience. He encouraged the opening up of freemasonry. Never again was there an official doubt as to whether a Jew could be a freemason in England. Elsewhere in Europe, however, things were different. Especially in Germany, there were constant objections to Jewish membership, and antisemitism was endemic in sections of German freemasonry. In Germany, grand lodges openly issued antagonistic statements about Jews. Yet the story is full of paradox. There were anti-semites who kept Jews out of the German lodges, and, because peddlers of prejudice are never rational or consistent, other anti-semites who as stern critics of freemasonry regularly attacked the movement as too Jewish (and therefore dangerous to society). Accusations of Jewish-masonic plots to undermine and control the world played a role in the Dreyfus affair which rocked France and reverberated throughout the world at the end of the nineteenth century. They surfaced in that notorious forgery, the Protocols of the Elders of Zion. The German right-wing and the Nazis added similar accusations to their antisemitic armoury, and the persecution of freemasonry is part of the bitter history of the Hitler period. To Jews everywhere, the right to be freemasons was a touchstone of religious liberty and social tolerance, an agent of emancipation and social integration. Hence in the free atmosphere of British countries the craft had a great attraction for Jews, who were increasingly represented in lodge memberships, and the leaders of their community, including ministers and rabbis, were prominent freemasons. The first Australian masonic activity was in the form of “travelling lodges” attached to the early regiments. There were also some freemasons amongst the convicts. 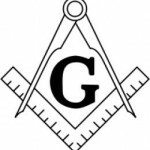 Neither group of masons, however seems to have included any Jews. No known Jewish name appears in the lists of the 46th and 48th Regiments. But from the time of the formation in 1820 of the first Australian lodge, known as the Australian Social Lodge, No. 260 in the Irish Constitution and subsequently No. 1 under the Grand Lodge of N.S.W., Jews are gradually found in the membership lists. The full registers do not seem to be available in Australia as the early records were sent back to England or Ireland on unification. But from material kindly made available to me by the Masonic Historical Society of New South Wales, it is clear that it became a matter of course for Jews to be interested in joining and for the lodges to accept them. There does not seem to have been any evidence of lodges resisting Jewish membership, even though at the same period in Australian history there was much debate about whether Australia was a Christian country and whether, in consequence, Jews could be accorded state aid for their religious institutions. Until the early 1830s no Jewish names are associated with Lodges 260 and 266 but from the middle of the decade we find in Lodge 260 Barnet Levy (this may or may not be the Barnett Levey who is known as the father of Australian theatre; there were several Jews of that name in the early colony), Barnard Aaron Phillips, and, a little later, Solomon Moses, Joseph George Raphael and John Barnet. In Lodge 266 there are John Isaacs and James Levy as well as one or two others who were descendants of Jews but did not themselves practise Judaism. A list of the Lodge of Australia, undated but probably from the 1840s, lists 106 members who appear to have been admitted over several years; of them up to seventeen names are Jewish – a high proportion considering the small Jewish population of the Colony. They include both emancipists and free settlers, and the majority are leaders or members of the fledgling Sydney Synagogue. What attracted them to freemasonry, over and above its intrinsic interest, may have been the wish to prove themselves and their community to be respectable and law-abiding and thus entitled to state aid for their synagogue. As masonry developed in one Australian colony after another, it became the pattern for leading Jews to be freemasons. Often synagogue and lodge vied for priority in their public life. Thus the founders of the Melbourne Hebrew Congregation in 1841 were all members of the early Victorian masonic lodges; the spiritual leader of the congregation, Asher Hymen Hart, was initiated into the Lodge of Australia Felix in 1841 and by 1846 was worshipful master, and the first official minister, Rev. Moses Rintel, was initiated in 1849 and held office for many years as chaplain of the lodges under the Irish Constitution. Colonial pageantry frequently included masonic processions and rituals. An early example is afforded by the extant minutes of “Proceedings of a Lodge held in the E. of Eliza Point, Port Jackson, on 2nd November, 1816, being the Day appointed for laying the Corner Stone of Brother John Piper’s House.” At 11 a.m. “the Brethren embarked in Boats prepared for the purpose, from the Brother’s House, & were saluted by Seven Guns from the Merchant Vessel, Wellesley, Commanded by Brother Crosset, a Masonic Ensign having been displayed at the Main Top-Mast Head,” and then follows an account of the procession. The interplay between masonry and Judaism appears to have been taken completely for granted. We see neither anti-semitism on the part of the lodges nor any Jewish reservations about Judaism and freemasonry being in any way incompatible. In some places where there was a sufficient group of Jews but no synagogue building, meetings and services took place on masonic premises; though dating from a later period, the Jews of Broken Hill in 1900 made Tait’s Masonic Hall their meeting place, and the local press reported in September, 1909, that the Day of Atonement service would be held “at the Synagogue (Tait’s Hall) conducted by Rev. Z. Mandelbaum”. Jewish theological endorsement of freemasonry in Australia is quite clear from the fact that more or less every Jewish minister joined the craft, often attained high rank, and frequently gave masonic lectures that were highly acclaimed and often published. Many of these are to be found in archival collections. An example is an 1877 booklet, “What is Freemasonry? Lecture delivered at the Orion Lodge, No. 1153, Sebastopol, Victoria, by their chaplain, The Rev. I.M. Goldreich, Printed and Published by the unanimous vote and expense of Lodge Orion”. Inevitably the material is predictable and the style floridly Victorian, but it is one of a genre. It is beyond debate that masonic membership was a touchstone in Australia, as in Britain, of Jewish political and social acceptability and integration. From the positive point of view, it was an expression of the good citizenship and ethical conscience which are axiomatic for Jews, motivated as they have always been, even in other, more unfriendly places, by the command of the prophet Jeremiah (chapter 29) to seek the well-being of the city where one lives. We have no statistics as to the numbers of Australian Jews who have been masons. To produce such statistics would be an impossible task because it would entail perusing millions of names (nine per cent or more of Australian males used to be freemasons), and then trying to identify those who might have been Jewish. But there may be some comparative value in a study of Jewish lodge members in San Francisco between 1870 and 1900, when many freemasons were Jewish, at a time when Jews were only 7-8% of the population of the city. Whatever the exact figures in Australia, anecdotal evidence suggests that here, too, Jewish freemasons were more numerous than the very small proportion of Jews in the Australian population. In 1994, I asked readers of the “Australian Jewish News” for details of masonic affiliations in their family, especially in the nineteenth century. I do not claim scientific validity for my work, but I did receive a sheaf of replies. Often a family had lived in a country district, and father and sons had more or less all been freemasons. In a number of cases the Jewish freemason was also active in the municipal government and commercial life of the district. This reinforces my conclusions about masonry expressing both good citizenship and social acceptability. It also reflects the sparsity of leisure-time pursuits and cultural activity in colonial society. Bear in mind that the non-Jew could get involved in the local church, an option not available to Jews. But the rabbinic endorsement of the craft makes a deeper statement. Put simply, Jews were religiously comfortable with masonry. They might not have gone as far as Isaac M. Wise, pioneer reform rabbi in the U.S.A., who declared, “Masonry is a Jewish institution whose history, degrees, charges, passwords and explanations are Jewish from the beginning to the end”. Wise must have been an enthusiast, but he overstated the case. Still, Australian Jewish masons would have seen much commonality in the two commitments. This is illustrated by an unusual piece of masonic art. Last year I spoke at the North Queensland Masonic Convention. Whilst there I paid a visit to Cairns to inspect a framed drawing which came from the Masonic Temple in Cooktown and is now at the Cairns masonic centre. It is an intricate exercise in calligraphy and pen and ink drawing. Its date and origin cannot yet be identified, but it is a mosaic of Biblical scenes and masonic symbols surrounded by quotations in English and Hebrew. It must be the work of a Jew, since the Hebrew includes material from rabbinic works and the Jewish liturgy, and these are not likely to have been known to a non-Jew even with a good knowledge of the Bible. This piece of art sums up the symbiosis of Judaism and freemasonry in the mind of the Australian Jewish mason. The Jewish brother feels at home with the Biblical material in masonic ritual, including the references to King Solomon and his temple. He is fascinated to discover that the craft uses rabbinic exegesis and Jewish folklore. But there is a major problem which he cannot brush aside. Biblical and rabbinic material is used selectively in masonic ritual and is frequently distorted. Even the occasional Hebrew word that is found in the ritual is generally badly mispronounced. Further, dechristianisation is only partial. Obviously this is unobjectionable as far as Christians are concerned, but it is a problem for Jews. The central masonic legend of Hiram Abif is an example. Despite some links with rabbinic imagery and interpretation, it has Christian overtones of the death and resurrection of Jesus. It is possible that some Jewish masons are simply not aware that the ritual is not quite as Jewish as they or Isaac M. Wise imagined. Or else, is it that Jews were prepared to overlook theological problems in order not to disqualify themselves from masonic membership? My own personal course is to remind myself and others that such problems as do exist are few and minor. Mildly uneasy as I occasionally am from the theological point of view, I am more than impressed by the overwhelming value of masonic principles and symbolism. A Jewish mason should quietly make such mental reservations as he thinks appropriate, as masons of all faiths are free to do when necessary. It goes without saying that Jewish brethren should not participate in the more specifically Christian rituals outside the craft degrees. To gauge whether rabbis seemed to have difficulty with masonic rituals, at the time of my survey last year I contacted some colleagues who are masons, and the children of deceased rabbinical masons. These last comments are of course of universal, not just Jewish, masonic significance. They movingly articulate what all masons feel about the movement. The reform interest in freemasonry was part of a more open policy towards general society and the options it presented. In Australia, however, there was no Jewish liberal movement (apart from a few reform-minded individuals) until the 1930s. The only Judaism was orthodox, but it was a broad-minded orthodoxy that was often more broad than orthodox. It welcomed social integration and found in freemasonry a key to the wider society. Thus the rabbis who espoused the craft in this country were mainstream traditionalists. Even after the rise of reform in Australian Jewry, the position remained as it was. Those rabbis who have been masons in the post-1930 era have all or mostly been orthodox rabbis, though the rabbis of the more intensely orthodox congregations which have developed in the past few decades tend to be insular and to play no part in general society or any of its organisations. No longer, however, can it be said that even mainstream rabbis belong to the craft as a matter of course. Nor, for that matter, is there such a high proportion of Jewish laymen to be found in masonic lodges. The nature of society has changed, and the general diminution in numbers of freemasons is reflected in the Jewish community. In addition, Jews, like other groups, have built up a rich range of internal community organisations that keep many of them involved and busy. Freemasonry simply does not impinge on the consciousness of most of them. To end, let me come back to the beginning. The Lodge of Israel, which I joined in London three decades ago, had its regular meetings (and possibly still does) at the famous Cafe Royal in Piccadilly. There were huge attendances. Commencing in mid-afternoon, meetings would break for afternoon tea and then conclude with a high-class catered dinner. Style, elegance, dignity and pomp and ceremony are vivid memories in my mind of the years when I attended that lodge. Not everyone in the Lodge of Israel was Jewish, but you saw leading rabbis and national Jewish figures amongst what must be termed a star-studded cast. Yet it became important to me not so much for the impressive theatricality or the distinguished company, but because at lodge I met up with Biblical personages, events, phrases, concepts and ethics which gave me a feeling of being with family. True, the pronunciation of Hebrew words was usually outlandish, the material had been given a gloss that was not always academically justifiable, and some aspects of the ritual caused me puzzlement. But it fascinated, intrigued and challenged my mind as a Jew, and in due course when I came back to Australia, affiliated to Lodge Mark Owen and became active on higher levels, I made masonic research, writing and lecturing one of my most satisfying leisure-time pursuits. Adamant as I am that the Jewish contribution to civilisation is seminal, I am more than ever convinced that freemasonry is one of the most valuable components of human society. This entry is filed under Articles, Australian Jewry, Freemasonry, History.